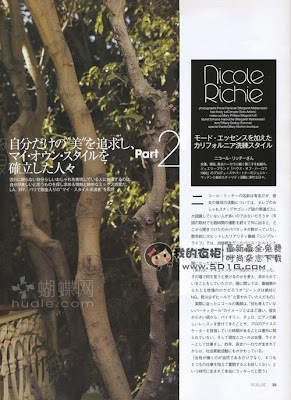 Nicole Richie is featured front cover modelling for the Japanese magazine Spurluxe .. It looks like should a good feature and i love Nicole's bohemian looking dress in the last picture! So that's what she was modeling before taking to miami. Do you know if there's interview and a traduction for it? i know that on another site, they did a traduction for the interview in vivi mag.